Happy State Fair of Texas opening day! 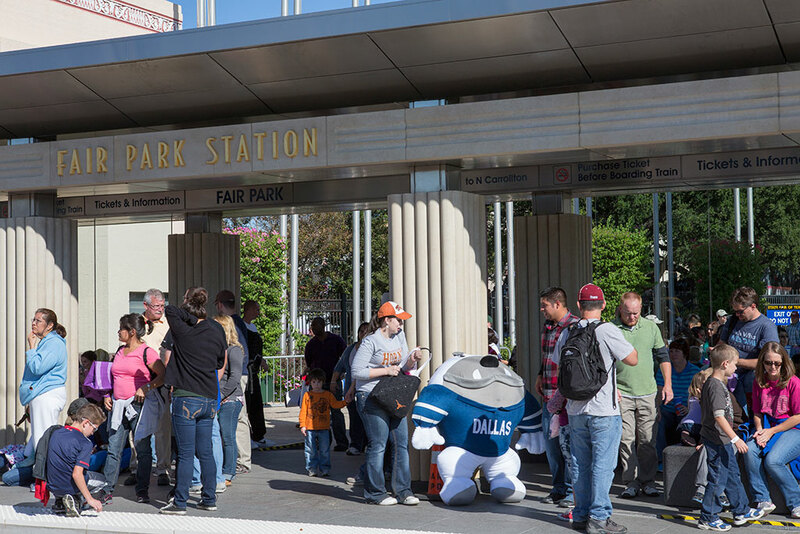 DART is the easiest way to get to the fair (Green Line to Fair Park Station or MLK, Jr. Station), but did you know you can save money on your general admission tickets with DART? Download our GoPass app for iOS and Android and buy your general admission tickets (and transit tickets) all from the app. Show your phone at the gate and breeze on by the ticket booth! The State Fair of Texas can be overwhelming, so let DART be your guide to the opening weekend. Everyone knows about the Red River Rivalry between Texas and Oklahoma, but the State Fair Classic played between Prairie View A&M and Grambling State brings the real excitement. Tickets to the Saturday match-up start at $28 and include admission to the fair on game day. This game brings students and alumni from both colleges to the North Texas area for alumni functions, parties, fundraisers and more in anticipation of the game and famous halftime battle of the bands. Get a taste of the atmosphere and battle of the bands in the video below. Did you know: Monday Night Football could be attributed to the State Fair Classic. The game was played on Monday nights from the 1920s to the 1960s. Need something quirky to do? 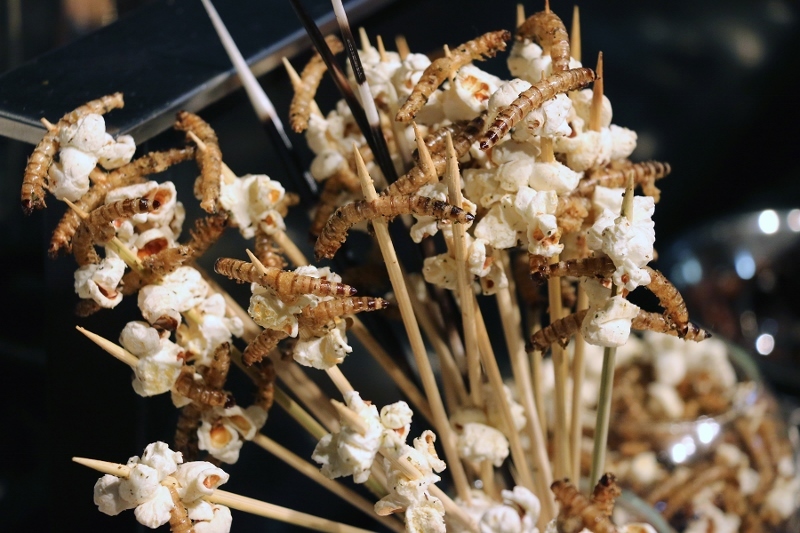 Stop by the Celebrity Chef Kitchen on Friday, September 25 at 4:30 p.m. to see Dallas Zoo Animal Nutrition Center Supervisor Aaron Bussell cook up some tasty snacks topped with crunchy critters like mealworms and crickets. Take a stroll to the very back of the State Fair of Texas for an opportunity to drive one of many different Chevy vehicles including Silverados, Camaros and even a Corvette at the Chevy Ride and Drive area. For all days of the State Fair, except Saturday, October 10, all Orange Line trains will be extended to Parker Road Station. Learn more about DART’s service to the State Fair of Texas at DART.org/statefair. This entry was posted in State Fair of Texas. Bookmark the permalink.